STYLING TIP: Wear these day and night, they are as comfortable as they are cruel. Perfect paired with baby star stud earrings. 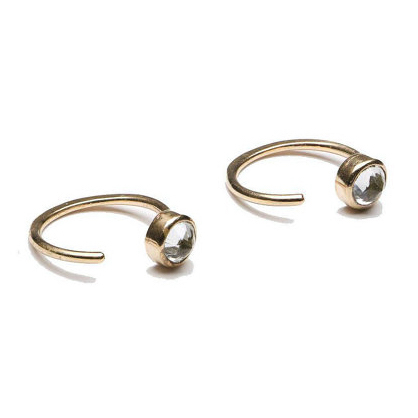 0.8mm hammered gold plated sterling silver and 3mm white topaz gemstone. Aproximate diameter 10mm.